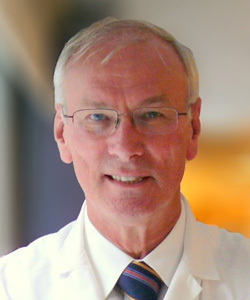 Dr. Andrew Pipe graduated from Queen’s University in 1974. Currently Chief of the Division of Prevention and Rehabilitation at the University of Ottawa Heart Institute, Dr. Pipe is a Professor in the Faculty of Medicine at the University of Ottawa. He is currently involved in clinical research assessing new approaches to smoking cessation, strategies designed to facilitate exercise adoption, and novel initiatives to prevent cardiovascular disease. Dr. Pipe has addressed audiences in over 30 nations and is frequently consulted on issues related to tobacco use and smoking cessation, drug use in sport, and physical activity and health. In addition to his clinical responsibilities, Dr. Pipe has been extensively involved in sports and sport medicine for many years. Dr. Pipe served as a physician at 12 Olympic Games and has been the Team Physician for Canada’s National Men’s Basketball Team since 1978. A member of the Canadian Olympic Hall of Fame (Builder), he served as Chair of the Canadian Centre for Ethics in Sport from its inception until 2003. Dr. Pipe is the recipient of the International Olympic Committee’s Award for “Sport, Health and Wellbeing” and honourary degrees from Queen’s University (LLD), Brock University (DSc) and University of Guelph (DSc). He was formerly Vice Chairman of the Board of Trustees at Queen’s University. In 2002 he was named to the Order of Canada.